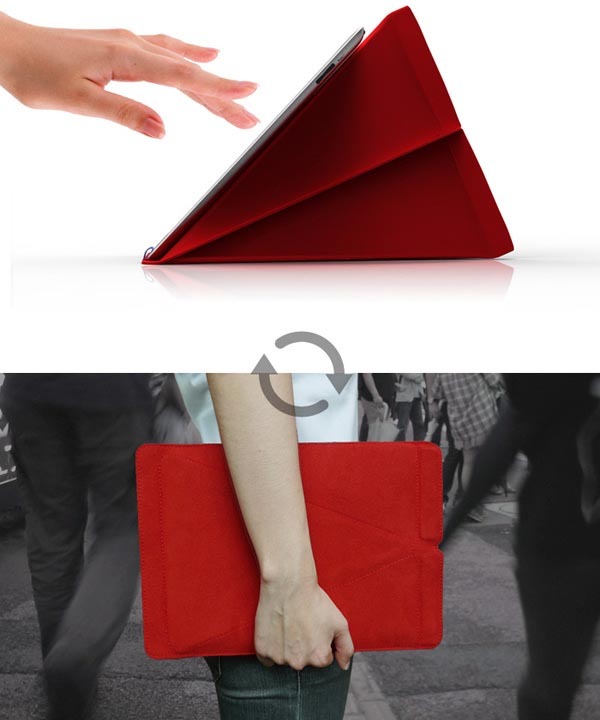 Simple design, smart construction and multi functions, no double the concept iPad 2 case has caught our eyes. 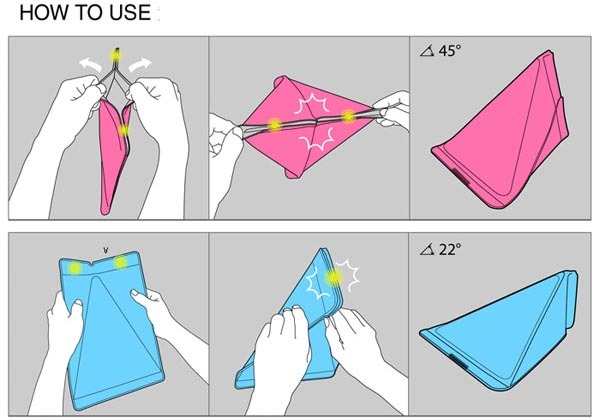 If you also like this kind of design, let’s go on checking Smart Stand Sleeve iPad 2 case. 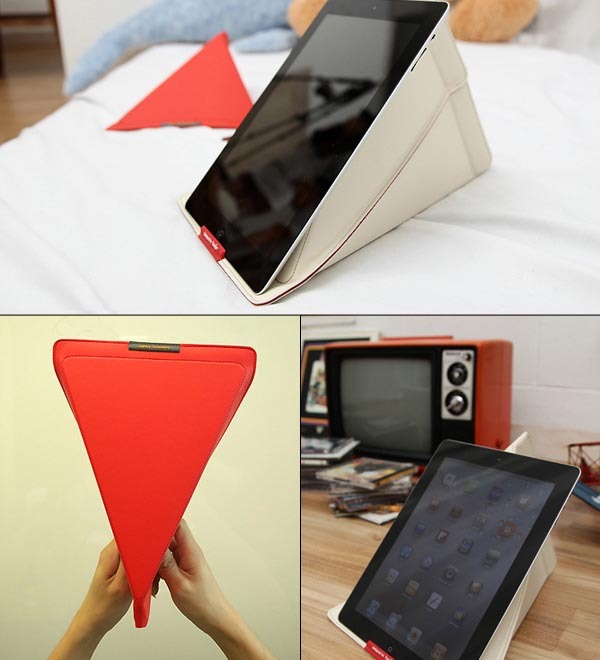 Smart Stand Sleeve is a unique designed, sleeve-style iPad 2 case designed by 6 talented designers from South Korea. As we can see from the images, the protective sleeve features foldable construction, so in addition to protecting the iPad 2 from bumps and scratches when you’re on the go, the versatile protective case doubles a practical iPad stand to hold your device in landscape or portrait viewing mode, or provide you a lower angle for typing. 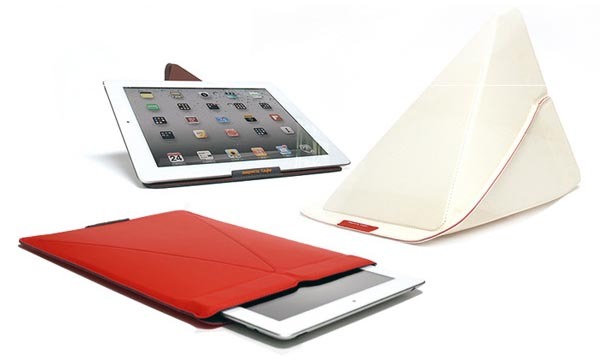 But unfortunately, the iPad 2 case is still a design concept. We don’t know whether it will become reality. Additionally, if you need available options, you might like to check Pong iPad 2 case, Orikata iPad 2 case and more via “iPad 2 case” tag.